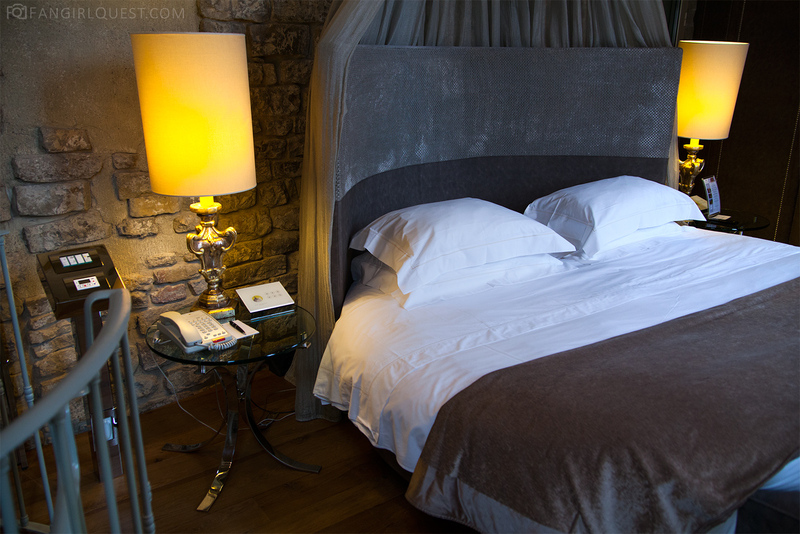 Our last night in Florence was happily a luxurious one. 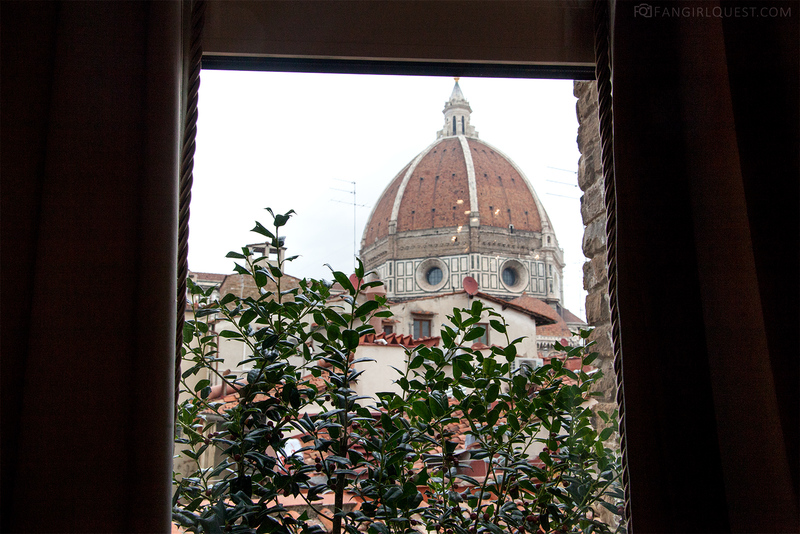 After the first three nights we packed our bags and moved downtown to Hotel Brunelleschi. 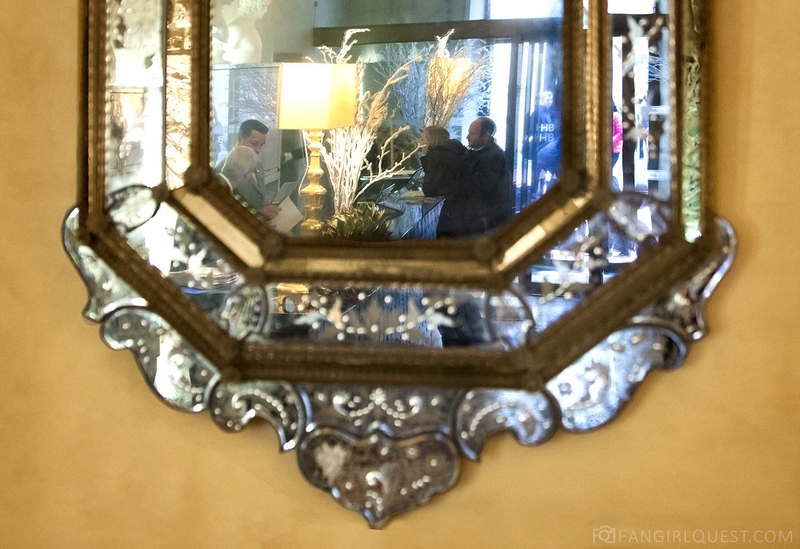 It’s a beautiful hotel, sort of hidden in a small alley, but very close to Piazza della Repubblica. 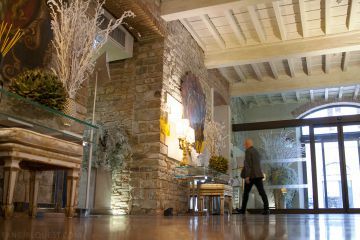 The hotel is a lovely combination of old and new, with beautiful details in the common spaces and rooms. I particularly loved their glass staircase, even though looking down while climbing up and down was a tiny bit horrifying. 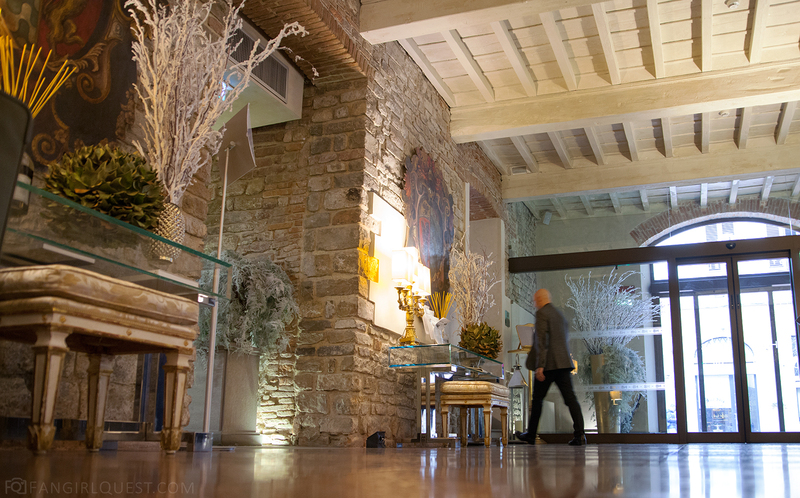 The beautiful tower and main entrance to Hotel Brunelleschi. Upon our arrival we were greeted by an extremely friendly staff. We left our luggage with them for a few more hours and headed out to do a little shopping. 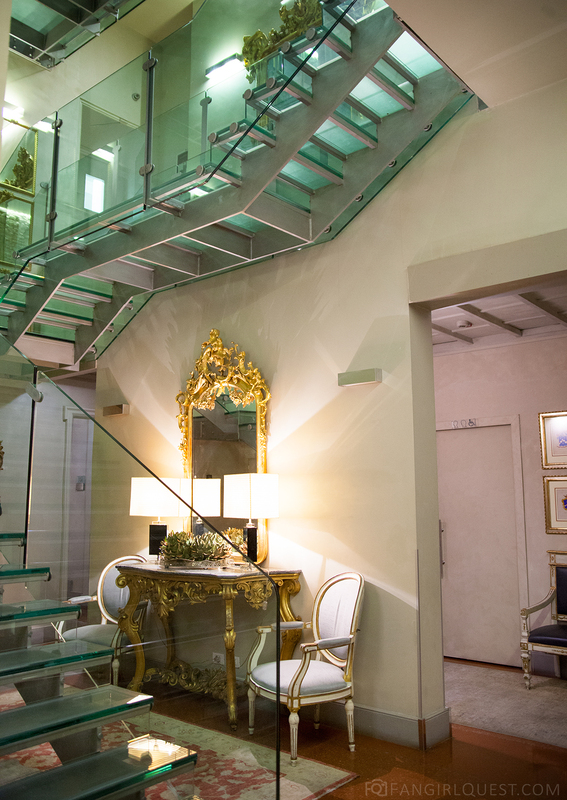 Here’s a few photos from their reception space and the first floor of the glass staircase. Later in the afternoon we returned to check out our rooms and relax for a little while. At this point, I was a bit sad we didn’t have more time to just stay in the room and take long, relaxing baths! Our bedroom, the view from our window and our welcome drinks. The best and most plentiful breakfast during our trip! Simply delicious. Italian bread, eggs, bacon, salads, a selection of cheese and cold cuts, pastries, pie, cakes, fruit… the list is endless. I never wanted to leave. Hotel Brunelleschi’s breakfast room is utterly lovely. Robert Langdon, created by the pen of the famous American writer Dan Brown, and protagonist of The DaVinci Code and Inferno, stays at Hotel Brunelleschi when in Florence. “When can I see you again?” Langdon reeled momentarily, lost in her eyes. “When?” He paused, curious if she had any idea how much he had been wondering the same thing. Would you bathe in this like ye olde Romans? 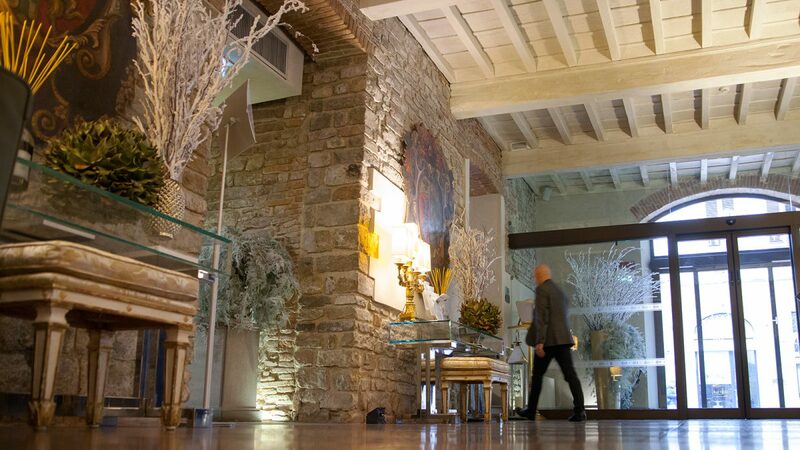 Another mention worthy curiosity about Brunelleschi is their little historic center deep within the building. The building of our 4-star hotel is housed between the Byzantine walls of the Torre della Pagliazza, built between 541 and 544 A.D., actually the most ancient in the center. 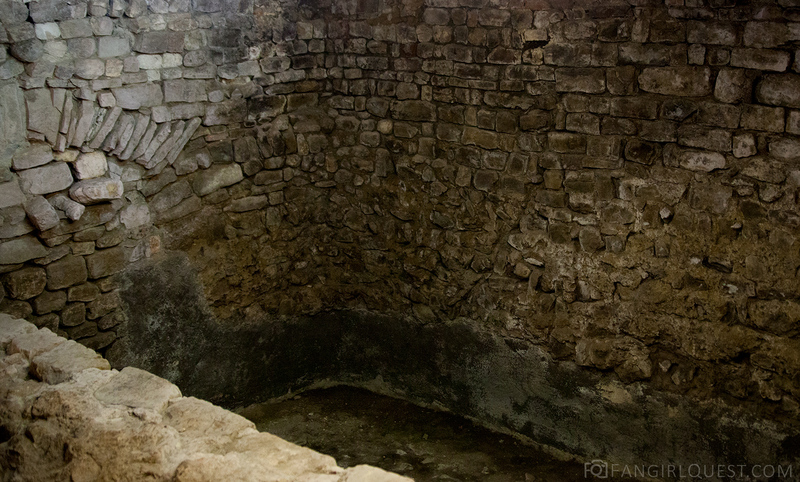 The archaeological excavations have revealed many Roman finds, one of the most precious of them is also considered to be a true jewel: the Calidarium of the termal baths, a hammam once used as a sauna. 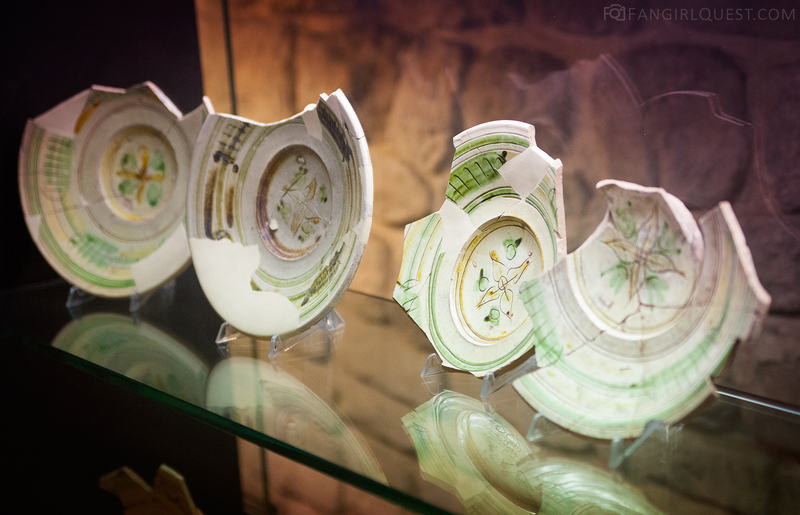 Ceramics in Hotel Brunelleschi’s own little Roman museum. 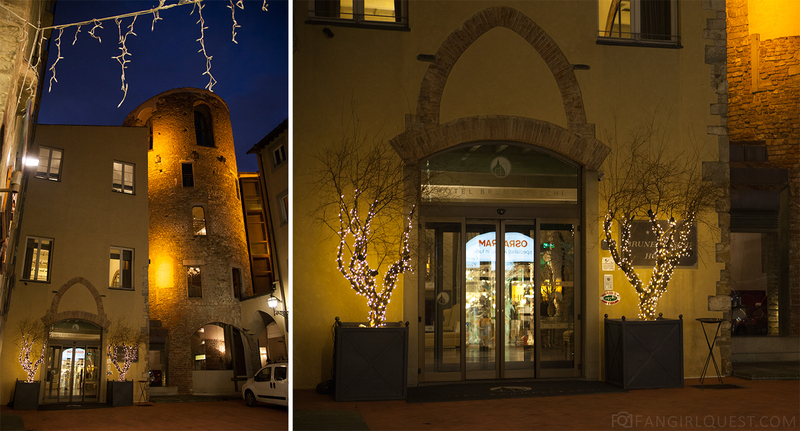 As a cherry on top of our beautiful four days in Florence, we dined in Brunelleschi’s very own Osteria della Pagliazza. The whole night a lovely guy called Salvatore took care of us, recommending wine and sharing funny stories. If you ever stop buy, say hi from us! We ate all this and more. And it was very good. Osteria della Pagliazza. I can see our table in the far corner! After dinner, we got a little lost in the hallways and stairs. But we didn’t mind! It was like a lovely evening walk after dinner. 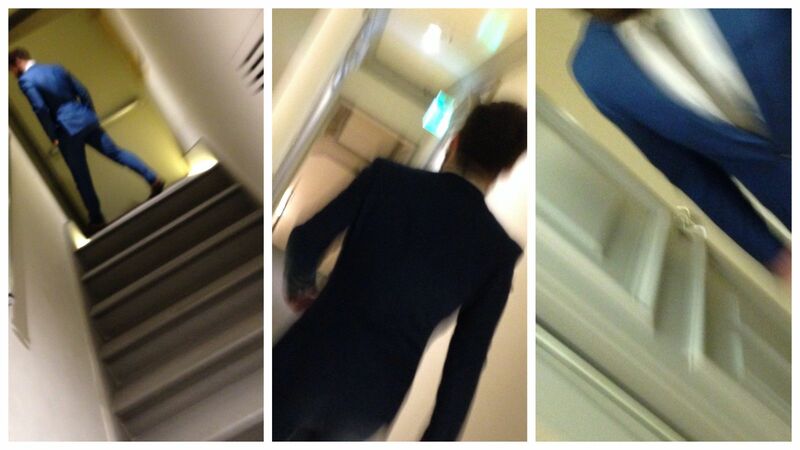 I snapped these photos of Karl while following him around. I might or might not have enjoyed a few glasses of wine, which might’ve added to the entertainment value of the photo series. Karl leading me through the hallways of Brunelleschi. Just before checking out, we were asked if we’d like to see the tower suite. We absolutely did. While we were there, I asked the concierge if I could live there. I don’t think he thought I was serious. But I absolutely was. 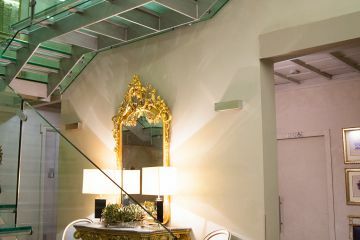 My home in Italy could now look like this and have a view of the Duomo. I love hidden little gems like this that are pure indulgence, so wonderful!! 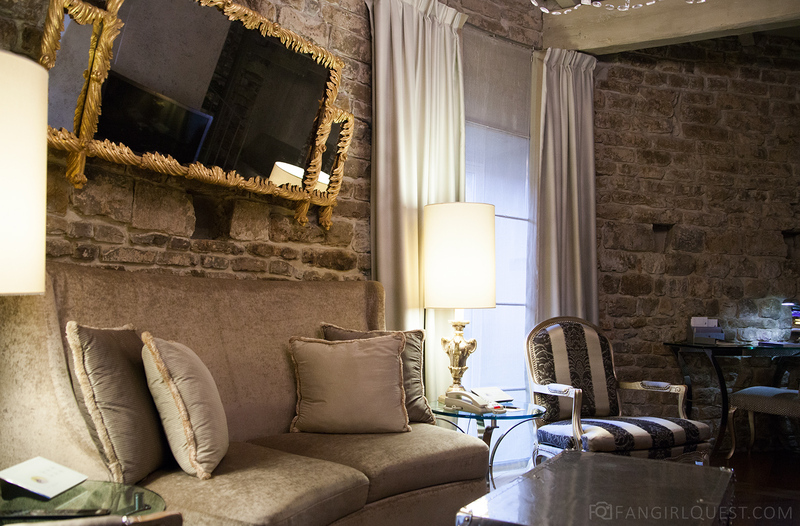 I love this beautiful hotel, and how cool is it that they have their own historic center. Now I want to go to Italy! Beautiful! I have never been to Italy, but Florence is on my must-see list! Very nice blog with attractive images.